GRAND RAPIDS, Michigan, September 21, 2015 – ArtPrize, the radically open international art competition, today announced that Dan Cameron will replace Franklin Sirmans on the ArtPrize Seven Grand Prize Jury. Cameron, independent curator and founder of Prospect New Orleans, will join artists Wangechi Mutu and Michael Rakowitz in selecting the winner of the $200,000 Juried Grand Prize. “I couldn't think of a better colleague to step in now than Dan Cameron, who I've had the pleasure to work with via Prospect New Orleans," said Sirmans on Cameron’s appointment. The replacement comes on the heels of Sirmans’ new role as Director of the Perez Art Museum, a position that will prevent him from visiting ArtPrize Seven and serving as a juror. 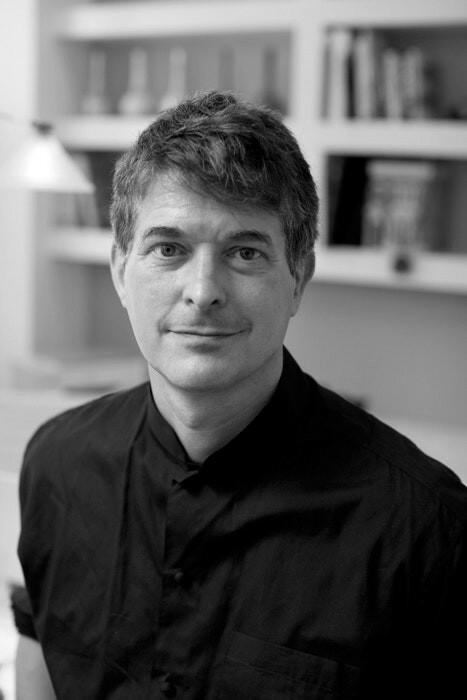 Dan Cameron founded Prospect New Orleans in 2006 and directed the biennial until 2011, a period during which he was also Director of Visual Arts at that city’s Contemporary Arts Center. Cameron was Chief Curator at Orange County Museum of Art from 2012 to 2015, where he presented the 2013 California-Pacific Triennial, among other successful exhibitions. From 1995 to 2006, Cameron was Senior Curator at the New Museum, where he developed numerous group exhibitions including East Village USA and Living Inside the Grid, as well as retrospectives of Carolee Schneemann, Eugenio Dittborn, William Kentridge, Martin Wong, Paul McCarthy, Cildo Meireles, Carroll Dunham, Faith Ringgold, Marcel Odenbach Jose Antonio Hernandez-Diez, and David Wojnarowicz amongst others. As an independent curator, Cameron has organized several influential exhibitions, including Art and Its Double (1987) and El Jardn Salvage (1991) at Fundacio la Caixa in Barcelona; Cocido y Crudo (1995) at the Centro de Arte Reina Sofia in Madrid; and retrospectives of Peter Saul and Kenny Scharf. Cameron served as Artistic Director for the 8th Istanbul Biennial in 2003, and co-curator of the 10th Taipei Biennial in 2006. He has published hundreds of critical texts in books, catalogs and periodicals; lectured at museums and universities around the world; and taught on the graduate faculties of Columbia University, NYU and the School of Visual Art. ArtPrize Seven will take place in Grand Rapids, Michigan from September 23 to October 11, when 1,550 artist entries at 162 venues will compete for a combination of public vote and juried awards totaling $500,000.